Los Osos is a wonderful place to create landscapes that mimic and accentuate the surrounding natural beauty. The location is just right for a whole host of interesting and colorful plants that require very little water or maintenance. 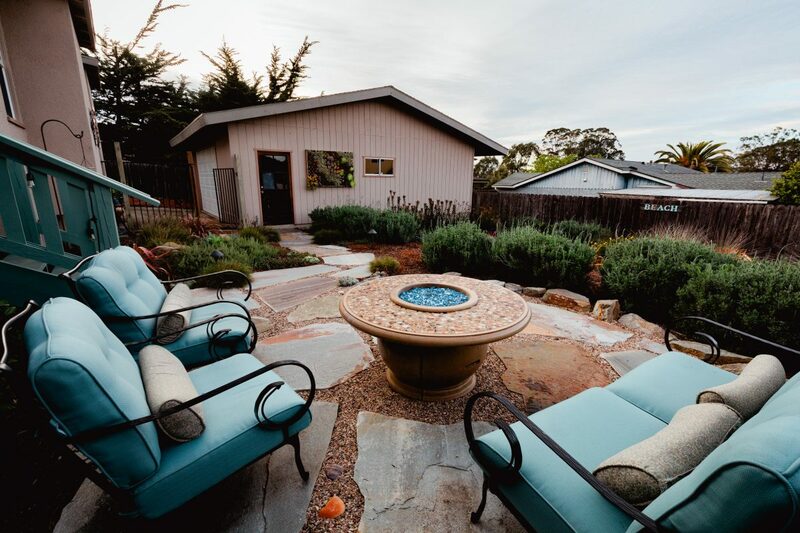 Wild Bloom specializes in designing and building sustainable landscapes that will thrive in the sandy soils and coastal climate of Los Osos. One thing to keep in mind is the importance of conserving water in Los Osos. Between the dry weather, continuing issues with the local aquifers, and high water rates it’s crucial that we think hard about where our water is used. The good news is that you can have a diverse and lovely yard without using excessive amounts of water. Drip irrigation, smart plant selection, native gardens, and rainwater catchment make it easy for you to have a beautiful landscape while keeping your water usage low. Wild Bloom focuses on low-water and sustainable landscaping. Just give us a call and we’d be happy to discuss your project. Click here to read about landscaping costs. Click here to get tips on choosing a landscaper. We highly recommend Wild Bloom for your landscaping project! We met owners Luke and Melody at a home show & were impressed not only by the designs we saw pictured but the entire philosophy of the company...We have really never seen such a dedicated design & installation team focused on extreme customer satisfaction.